“The Boko Haram insurgency has revealed some hard truths about our nation; it has shown that Nigeria is a failing nation, if not a failed one, for if a nation turns its attention to the fight between two political gladiators for the top job while hundreds die in avoidable circumstances, such a nation needs not exist“. A FEW years ago, I looked at Iraq and other nations in the Middle East with great confusion, I wondered how they existed as nations despite the extremism and sectarianism, accompanied by daily bombings that claim lives in unprecedented numbers, which was part of their daily lives, I simply watched them with sympathy – the victims, the internally displaced, and the excuse of a nation left behind in each case. Never in my wildest imaginations did I think that such chaos, insecurity and insurgency could be the order in my home country. Little did I know that I was living in a fool’s paradise as chaos, insecurity and insurgency with impunity have descended on Nigeria on a very grand scale. Today, Nigerians are internally displaced in their own country, forced to live in schools. Children who are supposed to use those schools for knowledge acquisition purposes no longer can because some maniacs are on the rampage, seeking the total destruction of Nigeria as we know it, leaving a pile of bodies in their wake. More interesting is the response that greeted this national calamity. As usual, it was treated with the typical ‘Nigerian factor’ that is responsible for the collapse of virtually all sectors, and like corruption and bad governance, it (insurgency) has been accepted as part of our nationhood. Hence, the wanton killing of Nigerians by insurgents can be relayed alongside recent song releases. When we hear it from the various media houses, we are no longer shocked! How can? Yes, the lives of Nigerians have been reduced to meaningless figures, such that when we read the headlines from the papers – 82 killed, dozens more injured – we remain unperturbed. Since Boko Haram began its terror campaign, thousands of Nigerians have been killed while millions have been affected—that is wounded, burnt or displaced. Socio-economic activities have been halted in the regions affected and Nigerians have learnt to sleep with one eye closed; the one open is to watch their backs when awake. Whenever bags are left behind in public places, passers-by wonder, with their hearts in their mouths, whether it is laden with explosives or forgotten by an innocent traveller. Generally, we have learnt to look at one another with unconfirmed suspicion. We are always ready to run for cover because somebody may be wearing an explosive studded vest. How about the agencies in whom the protection of Nigerian lives and properties is reposed? They have become part of the problem, adding insult to the injuries caused by Boko Haram. The Federal Government and the Defence Headquarters have embarked on a campaign of falsehood, always masking the actual state of things in obvious lies. The Boko Haram insurgency has revealed some hard truths about our nation; it has shown that Nigeria is a failing nation, if not a failed one, for if a nation turns its attention to the fight between two political gladiators for the top job while hundreds die in avoidable circumstances, such a nation needs not exist. The triumph of insurgents over a hitherto respected Nigerian Armed Forces and the impunity with which irregularities are carried out by authorities is mere fallout of a very fundamental problem. It is a far cry from the lack of importance attached to the life of the man on the street. After an ‘attempt’ to assassinate a former Head of State by Boko Haram insurgents, Nigerians sympathized with the former leader and offered sacrifices to the Almighty for saving his life, but Nigerians forgot that over 80 other Nigerians died in that ‘attempt’. Selective amnesia, Ojukwu would say. While we offered hecatombs to the gods for saving one, did we mourn the death of the over 80? Did we care to find out their families and console them? Is a press statement ‘condemning’ the attack enough? Who are these over 80 people? Was one of them rushing back from work to offer his wife a pleasant surprise? Was one of them a student who dreamt of leading the country in future? Or are they just what was reported on the airwaves – figures, over 80. As things like these keep happening, there has been no serious attempt to provide lasting solutions. There has been no memorial of some sort to honour the dead and condole their families, not even the troops, the foot soldiers, who are continually hurled into untimely death as a result of a war that never should have been had government done her homework. 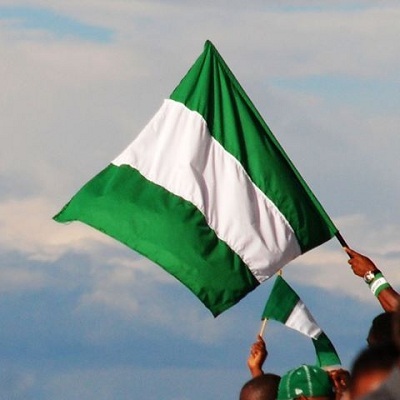 For whom, therefore, does Nigeria exist? Is it the thousands who have died because their government could not protect them? Is it those stampeded while trying to get a job with the Nigerian Immigration Service or the minister whose negligence and oversight caused the tragedy? When we sing of ‘One Nation bound in Freedom’, to whom do we refer? As a Nigerian, what hope is there for the common man? Not the boy whose father owns oil wells and could call in favours from high ‘Olympus’ but the boys on our highways who wash windscreens during traffic for whatever any one can offer. I refer to the youth who graduates to the reality that his knowledge and talent would not be put to use because he knows no senator. If some crime is committed against them, will they get justice? What is in it for citizens of the wealthiest black nation on earth? Are there actually 170 million Nigerians or is it that there are just 170 million pawns (and a few knights) at a chessboard called Nigeria on the trigger point of the African continent? As we pass through these trying times, even as we write, one of the darkest chapters of our national history, we must make a few adjustments to our national psyche. We must understand that the population at Onitsha Main Market is not expendables but human beings; they are Nigerians, no less than any other Nigerian is. We must recognise that those school children at Potiskum and their likes all over Nigeria must be accounted for at all times and must not be allowed to come to ruin in a very unnatural manner. We must agree that the Almajiri boy in Kano who wakes up and goes begging is equal to his governor who drives in a heavily guarded convoy of exquisite cars. Above all, we must realise that no Nigerian is greater, and none is smaller than the other is, that we are all Nigerians and must be treated with respect and dignity. We must realise that the common man is equally a national stakeholder and must be taken care of. Systems must be put in place to safeguard our lives and happiness. We must all be included in the scheme of things, our desires, even mine, must be reflected in national budgets and political processes, because even I, I too am Nigerian. Like Nzeogwu, I and thousands like me all over the country are keenly observing the developments in the political scene, the high handedness and corruption (with impunity) of public office holders while paying lip-service to the yearnings of the masses. We cannot ignore these developments for we are Nigerians and we love our country, and very soon we are going to carry out a coup d’état, but unlike Nzeogwu and his now infamous co-conspirators, our coup shall not be achieved through the barrel of a gun. Mao Zedong was not totally correct when he said that ‘Power proceeds from the barrel of a gun.’ If Chairman Mao was correct, the Arab Spring would be impossible and the Berlin Wall would still be standing. Ours is an ‘intellectual coup’ and it begins in the Court of Public Opinion: #ITooAmNigeria. • Tochukwu is a student of the Department of Electronic Engineering at the University of Nigeria, Nsukka.